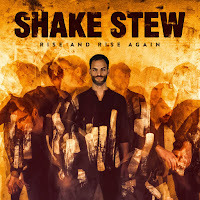 Rise and Rise Again is the second album by Austrian band Shake Stew. Comprising of six tracks with a total running time of just shy of forty-three minutes, bandleader Lukas Kranzelbinder wrote all of the music heard on this Traumton label release. The unusual instrumentation of three horns, two bass players and two drummers produces a distinctive, frequently overwhelming sound. The opening track – Dancing in the Cage of a Soul – goes for the jugular with its insistent percussive rhythmic pulse. Saxophonists Clemens Salesny and Johannes Schleiermacher join the noisy fray until ceding to a two-drum coda. Township trumpet by Mario Rom elevates How We See Things to something akin to an anthemic, hypnotic slow groove which succeeds in quelling the now four horns line-up with the addition of a guest tenor saxophonist – the critically acclaimed Shabaka Hutchings – contributing to the first of two tracks. Kranzelbinder composed Goodbye Johnny Staccato specifically for tenor saxophonist Johannes Schleiermacher to let rip and he does just that. Inspired by the late ’fifties/early ’sixties American television series featuring John Cassavetes as a jazz piano playing private detective, it certainly isn’t Elmer Bernstein! The two-part Fall Down Seven Times/Get Up Eight offers further light and shade, contrasting with the still-ringing-in the-ears opener. The titles suggest a dogged perseverance, a determination to rise up, confront the (socio-political?) matter at hand, ultimately overcoming seemingly impossible odds. First there is Rom’s superlative trumpet playing, then Hutchings making his presence felt. No Sleep My King? closes Shake Stew’s second album in becalmed, stately fashion. The Austrian jazz scene isn’t readily familiar territory to Bebop Spoken Here. 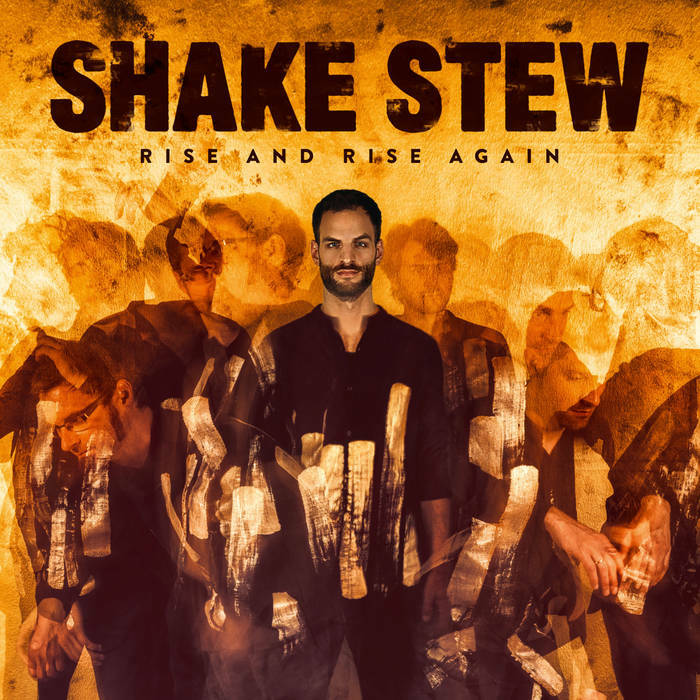 Perhaps this new album by Shake Stew will open up a rich new seam of European jazz waiting to be heard by a British, European or indeed, international audience. Rise and Rise Again by Shake Stew is released on the Traumton label (catalogue no.4663) on Friday May 4, available on CD, 180g vinyl and as a digital download. Shake Stew will be on tour in the UK in 2019. Clemens Salesny (alto saxophone, tenor saxophone); Johannes Schleiermacher (tenor saxophone); Mario Rom (trumpet); Lukas Kranzelbinder (double bass, electric bass); Manuel Mayr (double bass, electric bass); Niki Dolp (drums, percussion); Mathias Koch (drums, percussion) + Shabaka Hutchings (tenor saxophone) tracks 2 & 5. And did anyone see what the Wiener Zeitung said about this recording ........ 'Shamanic smears of sound, a fusillade of colossal, architectural beats, and snaking, energy-drunk horn lines - vast, cinematic music.' I think they liked it!